Stablemates Patrick Erin (r) and Brimham Rocks (l) will be out to improve their form in the Tancred. The Godolphin and Chris Waller stables split the Group One trophies on Golden Slipper day and are favoured to do so again at Rosehill. The Waller-trained Verry Elleegant is favourite for Saturday’s Vinery Stud Stakes (2000m) while Godolphin’s Avilius heads the market for the Tancred (2400m). Waller has two runners in the $1.5 million Tancred, Brimham Rocks and Metropolitan Handicap winner Patrick Erin but admits they both need to lift to have a chance. But he cites excuses for Patrick Erin’s last-start failure in the Group Three Sky High Stakes (2000m) two weeks ago. “He got a nasty bump as they jumped and ended up pulling up with a sore foot last start,” Waller said. “He was sound within three days of the race and after the foot problem was discovered, it quickly improved and he has obviously trialled well since that. Brimham Rocks ran midfield in the Sky High, the best of his three runs this campaign. In the spring he was placed in all five starts including the closest of seconds to Patrick Erin in the Group One Metropolitan (2400m). “His runs have been below what I have expected from him this preparation,” Waller said. “Last start he ran a little better, obviously up in distance so there was some merit in that run. He steps up in distance again which will suit. “He has an awkward barrier (13). We will simply see how he jumps and work out from there where he can slot in. 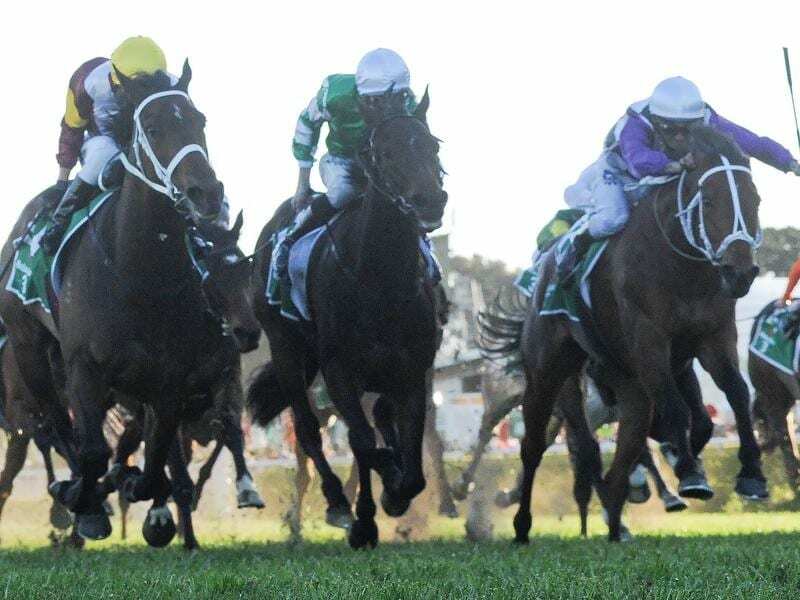 Avilius won last Saturday’s Ranvet while his James Cummings-trained stablemate Kiamichi took out the Golden Slipper. Waller won the George Ryder with Winx, the Rosehill Guineas with The Autumn Sun and The Galaxy with Nature Strip.